A panel of industry judges voted on the shortlist and the winners were announced last night in a ceremony at Bolton Whites’ Macron Stadium. Laila’s will now automatically go through to the grand final, Made in the UK, where the best of British manufacturing will be celebrated. The awards help to showcase the region and champion its diverse manufacturing industries, ranging from life sciences to artisan food brands. 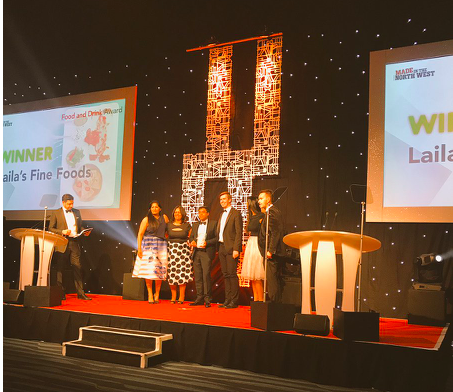 Laila’s Fine Foods were shortlisted in the toughly contested Food & Drink category alongside two other companies: Kendal Nutri Care and Manchester-based Glendale Foods. 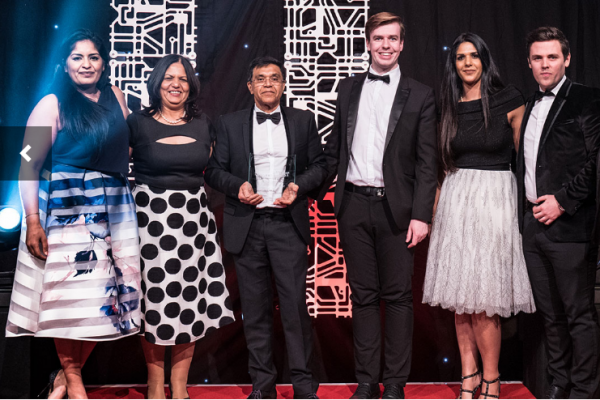 This year, Laila’s Fine Foods have continued to build the business, reaching number 8 in the Grocer ‘Fast 50’ which charts the fastest growing, independently owned FMCG companies, whilst also appearing in the Financial Times 1000 Fastest Growing companies in Europe. This increase has led to the ready meal manufacturer investing in a 36,000 sq ft expansion of its factory and production facilities, which are based on Moor Park Avenue in Bispham. In addition to expanding its premises, the company has increased their number of employees to over 400 people and invested in state of the art manufacturing equipment.